Because of the speciﬁc characteristics of the part-dirt, part-asphalt circuits, re-grooving of the tires is authorized. 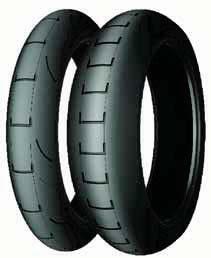 The riders create or modify the tire’s tread pattern according to the proportions of dirt and asphalt, the weather forecast and the number of left- or right-hand bends. 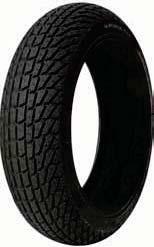 * Ideal rim width recommended to optimize the potential of the SM tire. 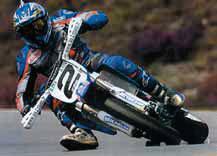 Supermotard race tires are for closed circuit Race track use only. Not DOT approved - Not for street or highway use.